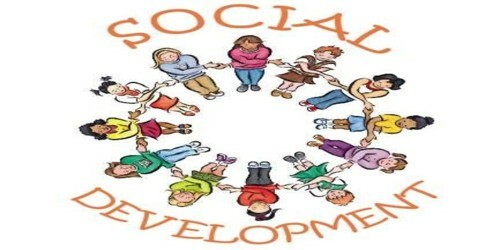 The concept of social development lies in the concept of socialization. It involves learning the values, knowledge, and skills that enable children to relate to others effectively and to contribute in positive ways to family, school and the community. To understand that, we have to understand socialization at the time of his birth, a child is very selfish. Social development most often refers to how a child develops friendships and other relationships, as well how a child handles conflict with peers. Teachers should practice what they preach. Things go wrong when they say one thing and do another. Teachers should be consistent in their social behavior towards children. Inconsistency creates problems for them. In schools and colleges, there should be maximum opportunities for giving and take, for “hitting and being hit.” Let there be maximum outings, camps, trips. It socializes the child. The teacher should be liberal in it. In school will not only socialize the child but also make him responsible. Control will breed scandals. Under­stand it. (Newspapers, magazines) which have bad influence (like some film magazines) on the development of child intellectually and result in stunted Social growth be not allowed to influence them. Direct the child along healthy lines. Allow the child to display social responsibility. Let him receive guess at a function. Parents and teachers should take children to parties. It socializes them.